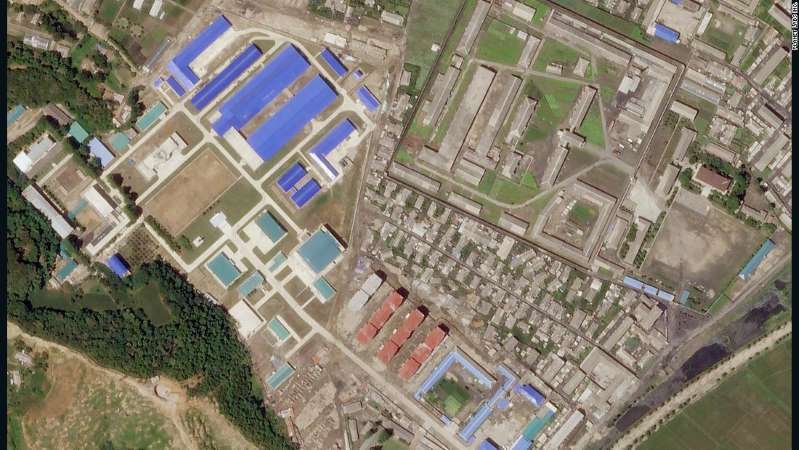 A satellite image on June 29 from Planet Labs Inc. shows a factory built by North Korea in Hamhung that could be used to build solid-fueled missiles. [post_ads]The images come as leaked reports from US intelligence officials appear to cast doubt on North Korea's willingness abandon its nuclear weapons program, something Washington said North Korean leader Kim Jong Un agreed to when he met US President Donald Trump in Singapore last month. Kim was shown viewing an artist's depiction of the factory in August 2017, after North Korea tested two intercontinental ballistic missiles. That same month it also threatened the US territory of Guam. A spokesman for South Korean President Moon told reporters it's "inappropriate" to comment on reports suggesting North Korea has not stopped construction at weapons facilities and intelligence matters on the whole. 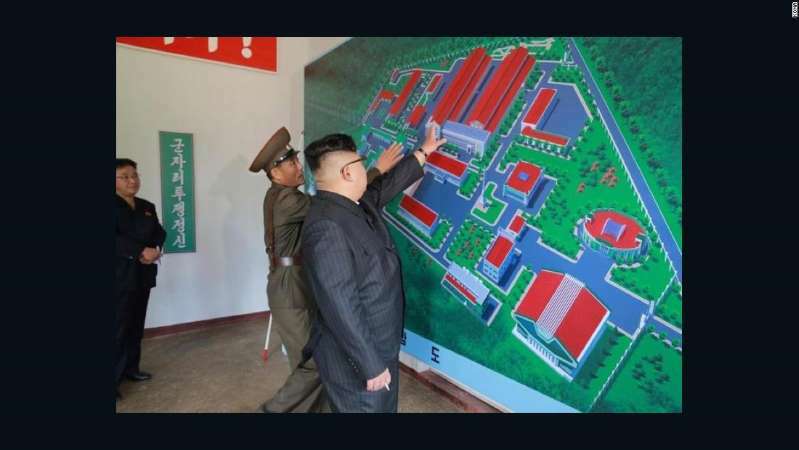 A photograph released by North Korean state media last year showing Kim inspecting an artist's rendition of the purported facility. "Kim has never offered to disarm. Not once," Lewis said. "He's arming, not disarming." [post_ads]"There's nobody involved in this discussion with North Korea in the administration who is overburdened by naïveté. We've seen how the North Koreans have behaved before," Bolton said. US officials led by Ambassador Sung Kim, Secretary of State Mike Pompeo's point man for negotiations with Pyongyang, met with their North Korean counterparts Sunday at the demilitarized zone that divides North and South Korea, the first such meeting since the Singapore summit.